Anthony Crolla says he has a "good chance" of setting up a dream showdown with Vasyl Lomachenko, by beating Daud Yordan in their final world title eliminator. 'Million Dollar' takes on Yordan at the Manchester Arena, on November 10, live on Sky Sports Box Office, knowing the winner will get a crack at the WBA lightweight world champion. Crolla is on the undercard of Tony Bellew's undisputed cruiserweight clash with Ukrainian Oleksandr Usyk, and with Lomachenko joining his compatriot at the press conference to announce the card, the Mancunian was given the perfect inspiration. "I'd never be disrespectful and call Vasyl Lomachenko out but if he ever wants to fight in England and if I win on November 10 then there's a good chance that fight happens," Crolla said. "I'd love to get in the ring with him, he's a fantastic fighter and one of the best fighters on the planet. It's something that I'd look forward to, of course." Crolla has not fought since March or boxed at his second home, the Manchester Arena, since October 2017 but believes the lure of Lomachenko and being back in front of his adoring fans, is the perfect platform. "It's a huge fight and I think mine and Daud Yordan's styles will gel nicely, it's going to be a great fight," he said. "There's a lot of people going on about me being on the undercard for the first time in a while, but I'm honoured to be on the card with two fantastic fighters, I go way back with Tony Bellew. "I'm just happy to be back in Manchester. It's been a bit of a slow year with injuries and stuff, but I believe I'm better than ever. In the gym I'm improving and I'm looking forward to being back." 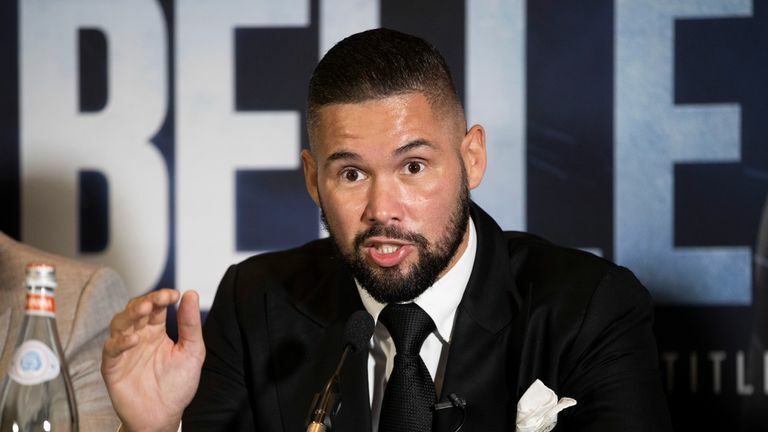 Tony Bellew insists he does not fear facing the undisputed cruiserweight world champion Oleksandr Usyk. Watch Crolla vs Youdan, on the Usyk vs Bellew undercard, at the Manchester Arena, on November 10, live on Sky Sports Box Office.